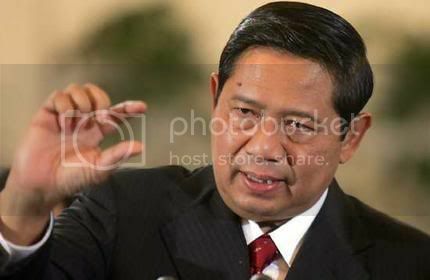 Victory for SBY, Indonesia…and ASEAN too? I am cheered that Dr Susilo Bambang Yudhoyono, better known as SBY, has won his second term in as president of Indonesia, with a very comfortable margin which pollsters estimate at over 60%. Although the official results are not due till later this month, SBY has already declared victory and world leaders like Singapore Prime Minister Lee Hsien Loong have already called him offering their congratulations. This is a victory not only for him and his running mate, Boediono, the former central bank governor, but the great nation of Indonesia as well. The peaceful and fair election — contestations by SBY’s challenger Megawati notwithstanding — seals Indonesia’s transition from a military dictatorship under Suharto just over 10 years ago, to a thriving democracy with a free press and a steadily growing economy. With 237 million people, Indonesia is not only the largest Muslim majority democracy, but the third largest democracy in the world after India and the US. It goes without saying that Indonesia is the largest democracy — and arguably the most democratic country — in ASEAN and Southeast Asia. Ten years ago, no one except probably the wildest optimists believed Indonesia would be where it is today. Many realists were predicting that the nation will break apart under the strain of ethnic and regional strife. Some said that with the strongman Suharto deposed, there will be nothing strong enough to hold the country together. But Indonesia has proven, and continues to prove, that democracy can bring about better governance and progress, even in a country so huge and diverse. In fact, democracy has enabled the Indonesian people to rid themselves of even the freely elected yet ineffective presidents that preceded SBY, and allowed a low key but honest former security chief to rise up to the highest office in the land, and retain it for a second term. To be sure, the country still faces massive problems of poverty, corruption and injustice in many regions. Change is not going to come overnight, and probably not even in this generation. (As you can tell, I was one of those pessimists I spoke of earlier.) But I believe that as Indonesia strengthens its governing institutions, maintains a free and open democracy, and stamps out corruption and injustice, the country will one day enter into the league of leading nations of the world. If the Democratic Peace theory holds true, then the risk of conflict in our region has reduced another big notch. The Democratic Peace theory states that democracies never or rarely war with each other. Depending on how one defines “democracy”, this theory has largely held true so far in the modern world. To put it more plainly, as Indonesia consolidates its democracy and rule of law, there is a lower chance of it becoming an aggressor and attacking another nation in the region, for example, Singapore. But being a democracy does not mean we should not expect Indonesia to be assertive and even pushy, especially within ASEAN. Indonesia has always seen itself as the ‘big brother’ of ASEAN. But for too long, its internal problems had rendered it ineffective in leading ASEAN, which officially has a rotating chairmanship. Now Indonesia not only its huge size, but the democratic credentials to buttress its leading position in ASEAN. I hope that Indonesia will be a responsible leader in ASEAN. I would expect Indonesia to play a leading role in advancing ASEAN economic integration, human rights and democracy, especially in Myanmar. It should use its newfound clout to steer ASEAN in the same path of progress and openness that it has taken itself over the past 10 years. These are all great expectations, which are said with a good dose of idealism. I wish our neighbour Indonesia well, because I believe that Indonesia’s progress will benefit not just Indonesians but Singapore and the rest of ASEAN as well. I am really happy for Indonesia. The dynamic duo of SBY and Boediono are really impressive. Boediono has PhD in economics from Wharton! If Indonesia can have free elections, why can’t we? Is our system a bastardised version of democracy? You made several fine points there. I did a search on the topic and found the majority of persons will consent with your blog.